Children love magnets! They are fascinating with a simple item that will give them many opportunities to be scientists. 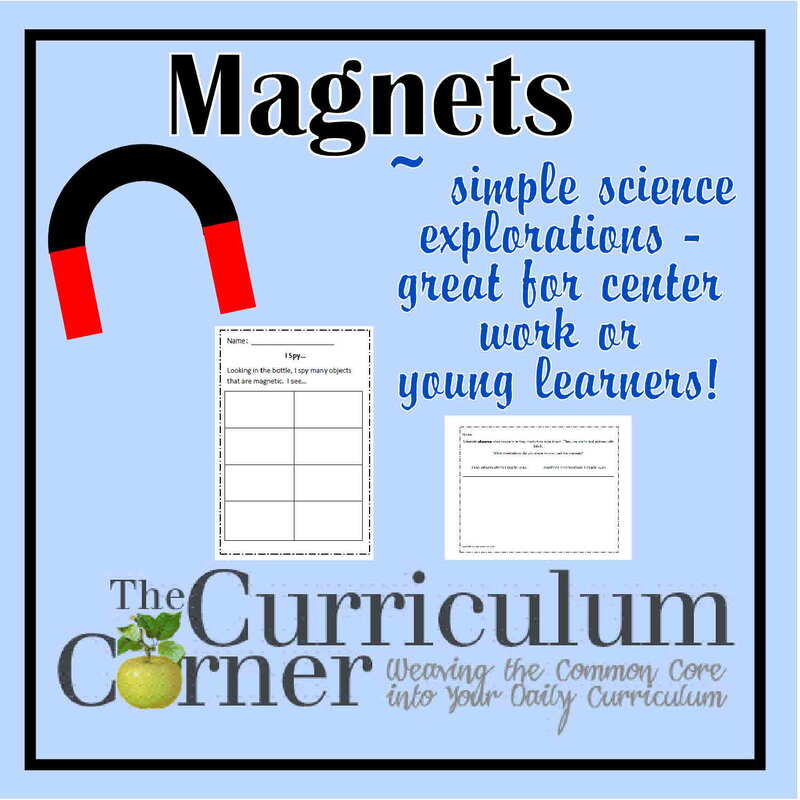 We have put together a collection of activities to help you give your students chances to explore magnetism. These would make great, guided science lessons for kindergateners or meaningful and engaging morning centers for older students. To set up the exploration time, place an assortment of magnets along with magnetic and nonmagnetic objects at a table. You might also fill a bin with sand or beans and then add magnetic items to the mix. Children can run a magnet through the bin to find the magnetic objects. I Predict – Have students make predictions about what will happen during their magnet exploration. I Observe – Students make observations about what they observe. Sort – Have students sort and record the magnetic objects. What was Interesting – Allow students to write and draw what they observe that is interesting. I Learned & I Still Wonder – Encourage students to think about what they have learned and what they still wonder. I Spy – In a water bottle, add small objects such as paper clips, washers, pipe cleaners and glitter. Add water to the top and put the lid on. Students take the bottle and run a magnet around the outside to find the magnetic objects. They then record the magnetic objects they find.